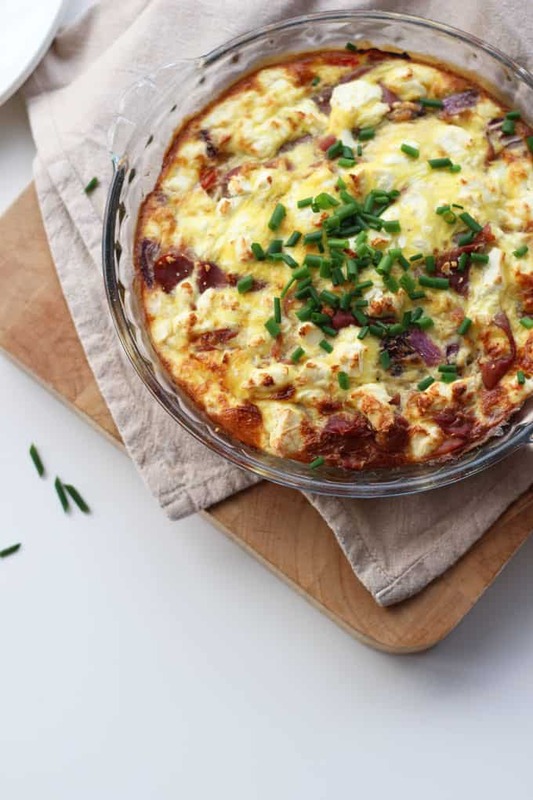 This crustless quiche with feta and parma ham is a perfect quick family meal. A light and tasty speedy super. Eggs are my ultimate quick, go to meal. Seriously, a 3 minute omelette? You can’t beat it can you? Packed with protein, hardly any washing up and full of good fats. I really notice how my hunger holds out until lunchtime when I start the day with an omelette rather than fruit or anything bread based. We’ve been so busy recently, not eating until we’ve both recovered from the day, put the kids to bed and tidied up a bit. It’s often not until 8pm that I start to think of dinner and I’ve been turning to eggs (a lot). 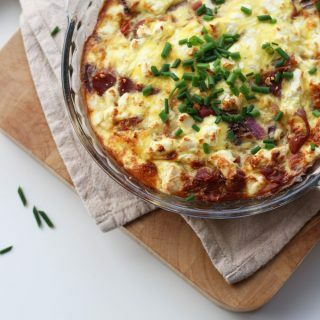 If you follow me on Instagram, you’ll know I love a runny poached egg and of course I posted my Chorizo Baked Eggs recipe last week. 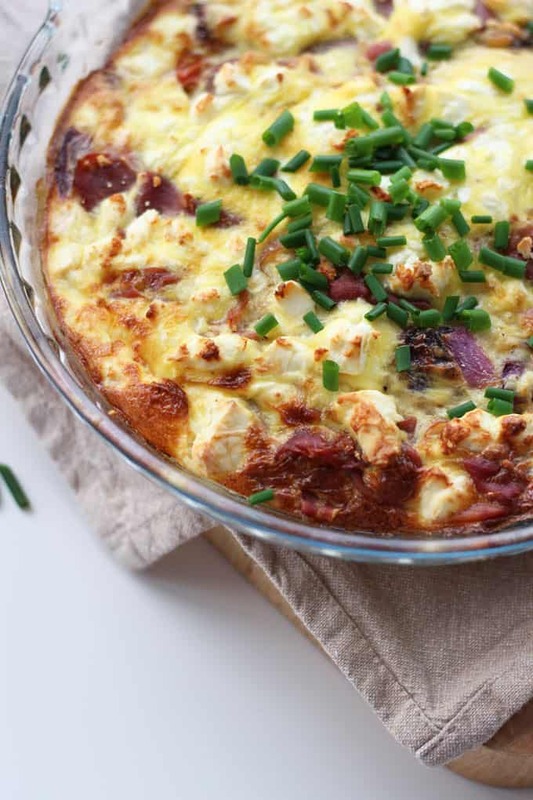 Leftovers of this would make a brilliant breakfast or packed lunch. It’s definitely going on my meal plan again. What’s your favourite way to eat eggs? A great option for those avoiding pastry and carbs. 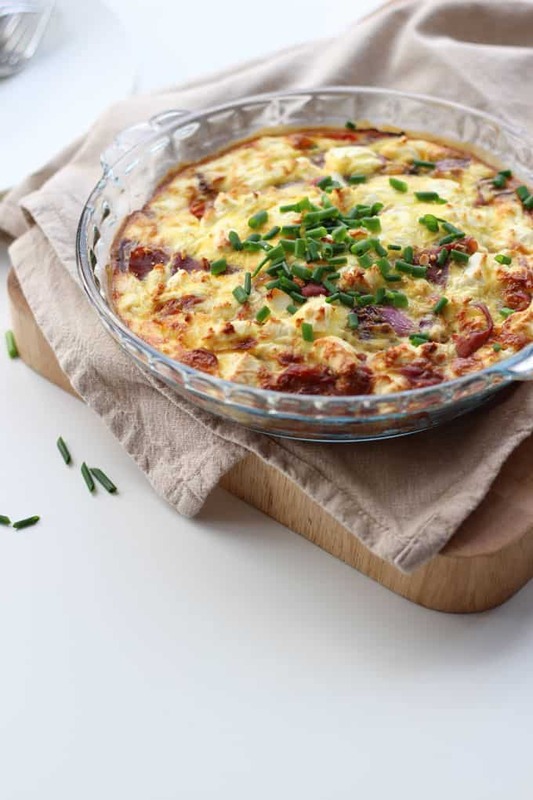 A perfect quiche for slimming world fans. 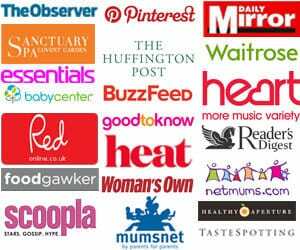 Preheat the oven to 180°C, Gas Mark 5. Put a 20cm oven-proof shallow dish in the oven on a baking tray whilst the oven heats up. Remove the hot dish from the oven, swirl the oil over the base and sides. Add the onions, tomatoes and stir well. Add the ham and cheese, and then pour over the egg mixture. Season with black pepper. Return to the top of the oven and bake for 15 - 20 minutes or until the egg has set and the top is golden. Serve warm with salad. 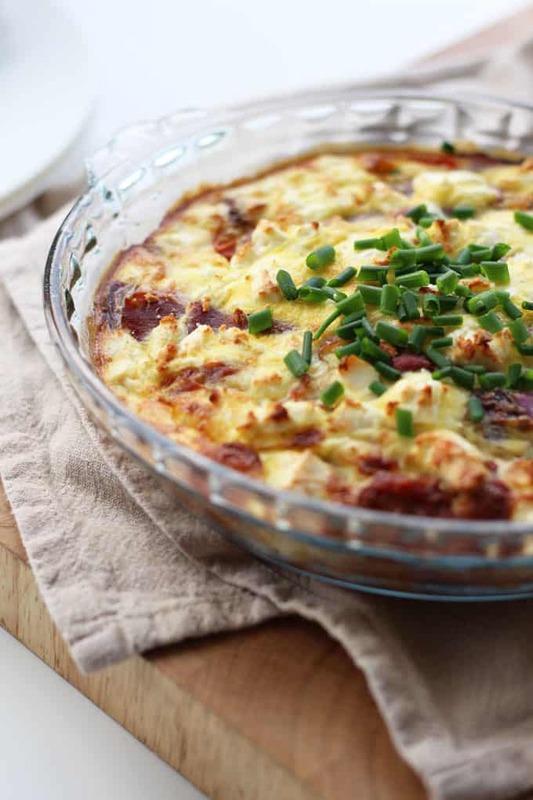 Pin the Crustless Quiche with Feta and Parma Ham recipe for later.. This looks delicious. I love parma ham and feta.